About two weeks ago a reader sent me a question concerning one of my blogs. While not unusual, the URL was. Apparently, a site on Blogger is automatically copying my content from my site (along with content from Andy Trice and Christophe Coenraets). Currently they have 402 copies (I’ll explain how I know that in a minute) and of course, they will have a copy of this post too - in about 30 minutes. The site in question is mr-cordova.blogspot.co.za. I’m not using a ‘real’ link for that of course as I don’t want to give them anymore Google power than they already have. (Since at least one person went to his site thinking it was mine.) At the bottom of each post you can see an attribution: “by via Raymond Camden” but no direct link is provided. Even if they did, I certainly don’t approve of them copying my content completely on their site. 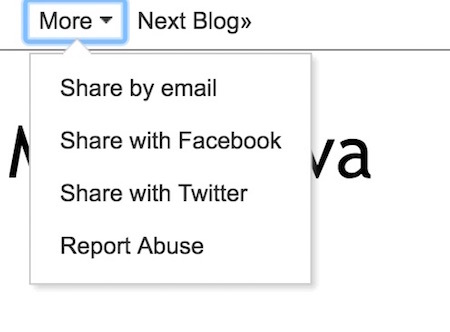 This leads to a “Choose Your Own Adventure” type interface for trying to report a problem. I ended up in an infinite loop at first but finally ended up on their DCMA removal tool. Their form lets you explain what content was stolen and then asks for the offending URLs. 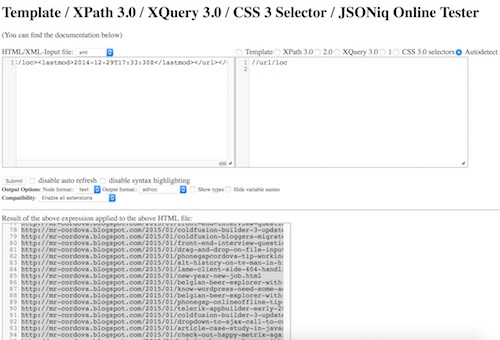 I knew I could use XPath to parse that data, so I Googled for a random online XPath tool and found this one: Template / XPath 3.0 / XQuery 3.0 / CSS 3 Selector / JSONiq Online Tester I used an XPath of //url/loc to parse each page of the sitemap: I did this three times and ended up with 402 URLs. I then filed a new DCMA request, which *again* won't be enough to stop this asshat, and ran into a new problem. Blogger only allows me to file 100 URLs per day. So great. I've got 4 days now of filing requests. And I get to repeat this every month or so assuming Blogger never shuts this guy down. Anyway - wish me luck. I'll update this post with a comment if I have any luck.